I will create a branded and well thought out Linkedin profile, using any information that you provide me with. I need your current Linkedin, your career details and any goals that you might have. Hi. 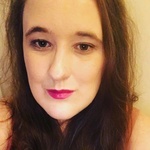 My name is Kay, I am 28 years old and I am currently living in the Valleys of South Wales. I am daydreaming about being an author and a full-time podcast host, but in actual fact...Read moreHi. 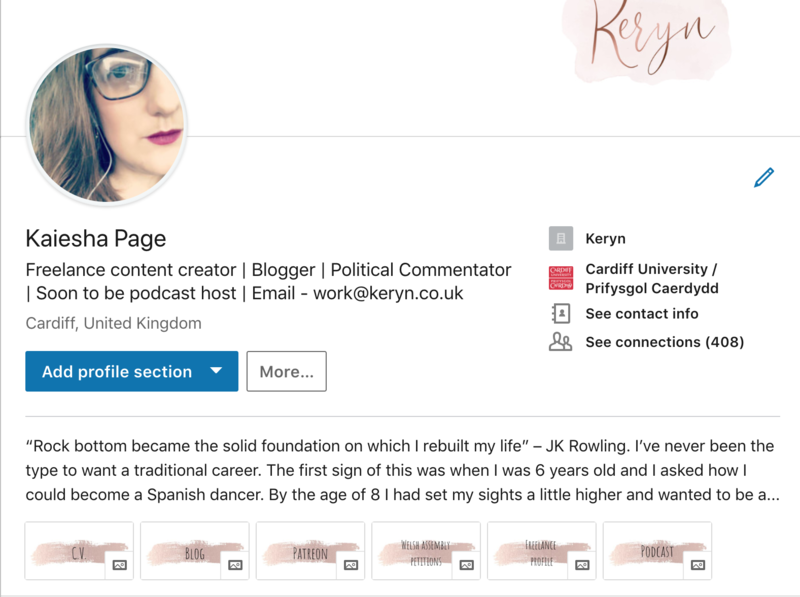 My name is Kay, I am 28 years old and I am currently living in the Valleys of South Wales. I am daydreaming about being an author and a full-time podcast host, but in actual fact I am a freelance writer and student. Having loved reading since I was a child, it should be no surprise that I love to write. Everything. As a result, I am a fully skiled writer and long to make a full career from it.